If you had applied for SSS UMID card, you should expect to have it within 3 to 4 months. But, what if a year had passed and you haven’t yet received your SSS UMID card? 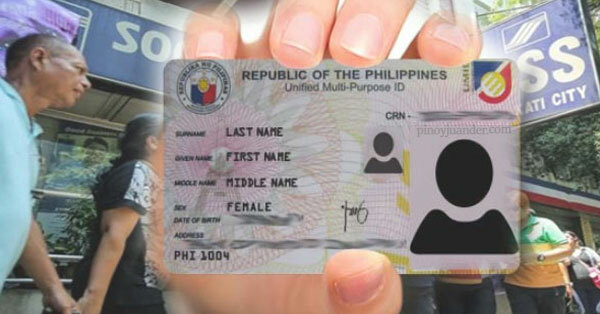 Every Filipino is encouraged to get an SSS UMID card because it serves as a unified identification system of GSIS, SSS, PAGIBIG, and PhilHealth. This identification card utilizes contactless smartchip technology that stores the biometric data of an individual including the signature, facial image, and fingerprints as well as social security information. The SSS UMID card is delivered through the postal services. But, we know that our postal services are quite inefficient. Thus, if after 4 months the UMID card is still undelivered to you, here’s what to do. Visit the official website of SSS and login your account. Look for the “E-Services” icon and click “Inquiry”. Under the “SSS ID Card”, click the “Transaction/Card status” and you will see the dates of the generation, packaging, and mailing of your SSS UMID card. If the status specified that the card is already mailed, the best thing to do is to contact the SSS and check the whereabouts of your card. It is not advisable to go and inquire directly to the post office. Otherwise, you will just waste your time. You can expect that a customer service representative from SSS will send the reference and tracking numbers. Likewise, the screenshot of the transactions such as the RTS reason, delivery date and others will be sent to you. Other options aside from sending email are to call the SSS Hotline at (632) 920-6401 or visit the SSS Servicing Branch nearest to your place. Your last option is to inquire from your local post office.